Over or under? 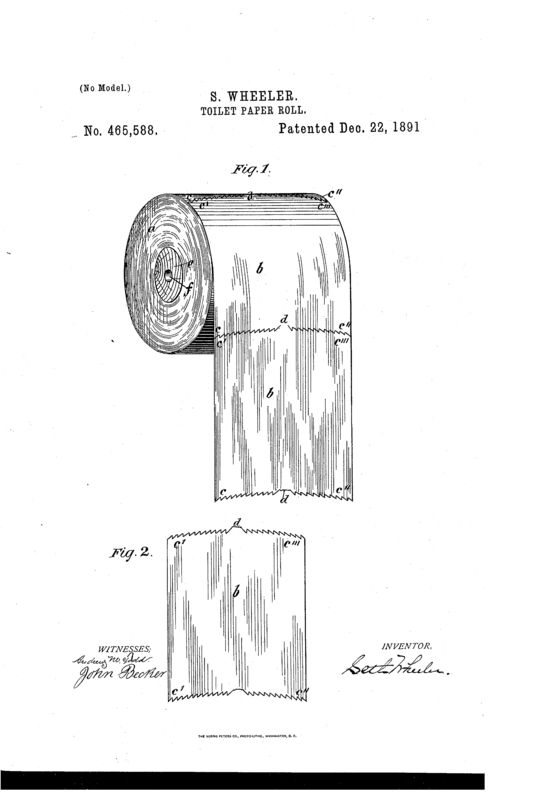 The long debated toilet paper battle is officially over, or it was 124 years ago! 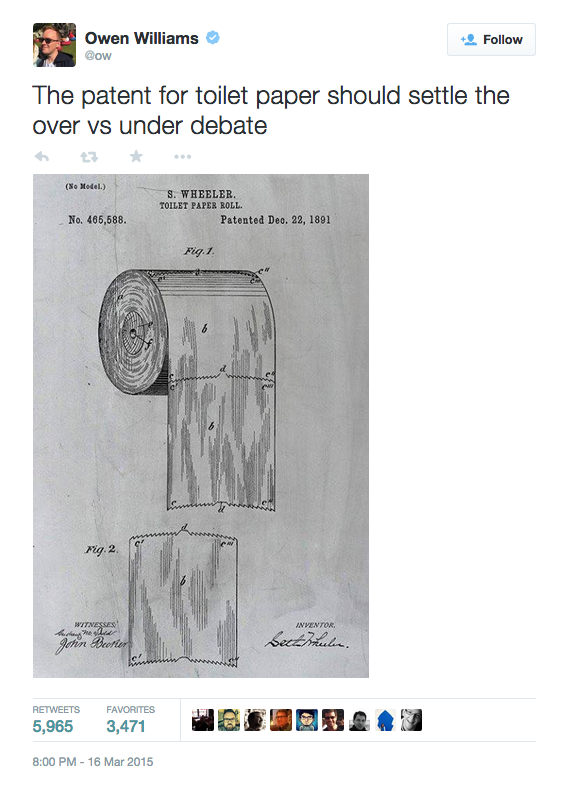 This original toilet paper patent was brought into the limelight by writer Owen Williams on Twitter.